Interesting times we're in . . . sounds a bit like a Chinese saying/curse (as some refer to it). There has been a real storm brewing and heating in some corners of the Internet these past few days . . . it started a few weeks ago, but it's really starting to heat up. Anyone remember HRC breaking her Toe some weeks back ? How about McCain tearing his Achilles? Nothing really too it . . . right? (Currently over 1400 sealed Indictments) - https://drive.google.com/file/d/15579P4VztZO0aNvejJasb1yOvXUCp3vS/view. Rumor is a lot of these are likely going to be Pedo ring related . . . which is going to have a lot of high level collateral. (Might be some U1 stuff too, as well as other things). Get outta here . . . but there have been roughly 7,500 Pedo arrests since Feb of this year . . .
Of course with all the Russia Gate stuff there was no time for the MSM to cover that, and there's still nothing to it . . . but this is where Story time starts and the trip down the Rabbit hole begins. Now I didn't put this together, and I'm not saying this is legit, so you can bail here and just ponder the above. Problem is, this somewhat meshes with some serious chatter from other corners of the Internet. 1) This started either before Trump announced his run for President, or soon thereafter. Someone who knew what happened told him. 2) SOMEONE in the IC, likely military intel, sat Trump down & laid out the entire #UraniumOne bribery scheme. 5) The lengths to which they corrupted our government offices to enrich themselves by selling out our country virtually ENSURED they’d walk. 7) So patriots in our gov’t had their hands tied. There was nothing they could do to stop the sale. 😎 Even after SOME of the dirty facts behind #UraniumOne became known in 2015, it was easily buried, ignored, passed by. HOW do you go about restoring the US gov’t to what it should be, instead of what it’s become? 13) It started during the primaries when Trump began taking every opportunity he could to brag about what GOOD FRIENDS he’d be with Putin. 18) He *literally* trolled all the people who took dirty Russian $ to compromise our nat’l security into ATTACKING HIM FOR IT. 19) And all HE was doing was TALKING ABOUT SOMETHING HE HADN’T DONE YET and would NEVER really do. 20) Literally ever single time Trump talked about his good friend Vladimir, Hillary ‘reminded’ him Putin is…NOT our ally! 21) Obama condescendingly chided Trump for his friendly talk about Putin. Holder was aghast, Lynch was stunned! etc. 22) They fell right into his trap. He TALKED about doing deals with a guy ALL THESE TRAITORS TOOK BRIBES FROM TO SELL URANIUM TO. 23) He’s talking about hypothetical deals with Russia & people who took massive Russian bribes on the U1 deal rushed to ATTACK HIM for it. 24) What possible EXCUSE are they going to have when the truth comes out? They’re not going to have one. He made SURE of that. 25) Everything Trump does is calculated for effect. So now you know why he showed all that ‘Putin-Love’ during the campaign. 26) The traitors had no idea what he was really doing & rushed to attack him for merely TALKING about doing deals with Russia. 27) Then Trump won the election. He and Sessions went to work. Now here’s something people overlook or don’t understand. 28) All this stuff about #UraniumOne we’re now just finding out? Trump & Sessions knew about ALL OF THIS before they were sworn in. 29) Part of the intelligence operation Trump & Co. are running is you never show what you know, you keep your enemy in the dark. 30) Trump & Sessions knew about ALL the details of #UraniumOne BEFORE the election. Who got how much, from who, all of it. 31) How much uranium was being shipped to Moscow, who facilitated that shipping, they already KNOW all of this. 32) They just haven’t TALKED about until now. They PRETEND they are just now becoming aware of some of this stuff. 34) Trump & Sessions know what happened with #UraniumOne. All the dark, dirty details. START with that premise, replay the last 9 months. 35) You need to start an investigation where somebody deep dives into #UraniumOne BUT you can’t let anybody outside KNOW that. 36) So here’s where the second part of the intelligence operation begins. You convince people it’s TRUMP & HIS TEAM being investigated. 37) All the traitors who facilitated the #UraniumOne deal were on high alert after the transfer of power. Will they be sniffed out? 38) Well not to worry. Almost IMMEDIATELY the new President & his team end up being embroiled in a very public scandal. 39) Trump asks Comey to back off of Flynn, then fires Comey, who leaks memos to the NYT’s & DEMANDS appointment of a Special Counsel. 40) With a President who bragged about doing deals with Russia, an advisor caught on the phone with the Russian ambassador…..
40a)…and who briefly for 3 months hired a guy known to be 1 of the SLIMIEST and DIRTIEST Russian-connected people in DC as his manager. 40c) while Kelly Anne Conway was handling the public PR & media chores. Manafort was brought in as ANOTHER reason to investigate Trump! 41) …everybody AGREES: yeah, great idea! Let’s appoint a special counsel to investigate RUSSIAN INTERFERENCE in our election! So be it. 43) Deputy AG Rod Rosenstein then appoints Bob Mueller & tasks him with investigation Russian interference in the 2016 election. 44) MUELLER AND ROSENSTEIN *both* already know that Trump & Sessions BOTH know all the details of #UraniumOne. 45) Everybody involved in this ALREADY KNOWS. Everybody was in on this from the start. Trump, Sessions, Mueller & Rosenstein. 48) was part of the #UraniumOne coverup. Same with Mueller & Rosenstein, whom many assume to be dirty, trying to HIDE the evidence. 49) An intelligence operation based on deception calls for putting the enemy at EASE because they don’t understand what you’re REALLY doing. 50) So: what do the #UraniumOne traitors & DNC Media & Democrats THINK has been going on for the last 8 months? 51) Trump has been STAGGERING on the ropes in desperate trouble trying to avoid a KNOCKOUT BLOW as Mueller relentlessly stalks him! 52) The reality? Mueller has been digging even deeper into #UraniumOne & into #FusionGPS & the Trump dossier. 53) He *has* found Russian interference in the 2016 election. 54) He found a MASSIVE Russian bribery scheme involving 1 of the Presidential candidates in which she compromised US nat’l security. 55) He *also* found this selfsame candidate illegally funding solicitation of info from Russian gov’t sources to smear the OTHER candidate. 56) And to compound THAT offense, this candidate also tried to HIDE her funding of this dossier by using a law firm, which is illegal. 57) The investigation is mostly over. Most of the indictments from the grand jury/juries have been made, sealed. 58) You’re all about to witness something that was deemed to be an impossibility. 59) A previous administration that was so corrupt across so many agencies with so many people involved, it made it invincible…. 60) is about to be rolled up. Dozens of people are going to prison. And you know most of the names. 61) Not until the hammer actually falls & all the indictments are unsealed will most people figure out what Trump & his team did. 62) DNC Media never had a chance to compromise/thwart the investigation of #UraniumOne & #FusionGPS because they fell for the COVER STORY. 63) It’s literally too late at this point to stop what’s coming. That window closed weeks ago. 64) Examples will be made out of these people. When Trump & Sessions are done, NO ONE will ever try this kind of treason again. But where did this guy come up with all this? Oh, there's a fair bit of background and side routes to this - the Rabbit hole is pretty deep. If the source(s) are true . . . it's big. 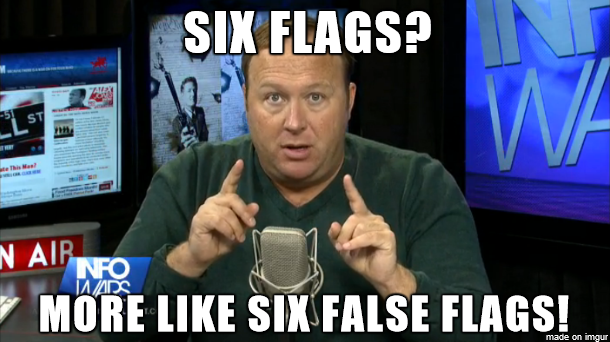 Ya'll watching World events lately? Pick one, cause there is a lot more to this than first blush above. This is actually quite a Web, and there are some very interesting dots to connect. There is a lot of info to dig through, and as such it's going to be somewhat disjointed and new things are still coming in. “What’s the storm?” asked one reporter. “Could be the calm before the storm,” Mr. Trump repeated, stretching out the phrase, a sly smile playing across his face. “What storm, Mr. President?” asked a third journalist, a hint of impatience creeping into her voice. This simple phrase set the Media spinning. Now many inferred that we were getting ready to hit NK (still a possibility), but it may well be something else. Now why would this be happening now . . . ? I must confess, I have heard some time back (from a totally different area/aspect) that a Supreme or two were going to retire because of some kind of scandal . . . I had thought it was quite some time off yet though. Someone popped up towards the end of last month that started dropping some (actually a lot of stuff) interesting questions and factoids. Here is a little snippet that I'll pull a few Q's from and throw against the original Story above. There's more in just this one than I am able to address, but they are all relevant food for thought. I primarily pulled this for Mueller, I thought (and am still not 100% sure) he was a Dem/Left ally - since this is who they wanted heading the Russia investigation. Rosenstein the same, though he may be "leveraged". Mueller was Head of the FBI for the maximum allowed term, so was ineligible to do so again. Interestingly, Mueller met with Trump the day before he was appointed Head of the investigation. Also, it turns out Mueller was a Marine Officer during the Vietnam War, and is/was a Republican. So, here is one dot that seems to fit the narrative of the Story. Was HRC the next in line + Was the Election supposed to be rigged? I have posted elsewhere videos of Ballot stuffing and an article or two where there were more votes than registered voters (105% Florida). According to the United States Election Project, an average of 59.7 percent of eligible voters cast their ballots. (The turnout number is lower when you just look at voting-age Americans, but not all Americans over 18 can vote, for various reasons.) Compare that to President Barack Obama‘s re-election in 2012, when 58.6 percent of eligible voters cast ballots—or 2000’s presidential election, which saw just 54.2 percent turn out to the polls—and the 2016 results aren’t too shabby. So 105% turnout - yea, nothing fishy there is there. Who guards former Presidents + Who guards HRC? FYI - Admiral R is only Agency Head that was not replaced by Trump . . .
How is POTUS always 5 steps ahead + Who is helping POTUS? Conspiracy Theory (the Movie) - personal thoughts on this is the "The Uncle no one talks about". Here things get a bit scary (and this is just a small tidbit), and is relevant further down the hole. What happens if Soros funded operations get violent and engage in domestic terrorism + What happens if Mayors / Police Commissioners/Chiefs do not enforce the Law? National Guard - and it has happened in the past. What authority does POTUS have specifically over the Marines + Why is this important? He does not need the approval/consent of Congress to use them & they can be used in coordination with the National Guard. Hmm, could be, but some serious points are being brought to light and some pieces are falling into place. There is a long way to go, and this spreads beyond just the USA as will be seen. I've been watching Victoria on Fox News. I'll bet she hasn't been invited to show up on cbs, cnn, msnbc, etc. into the slammer and in the meantime, soros is putting billions into undermining America. 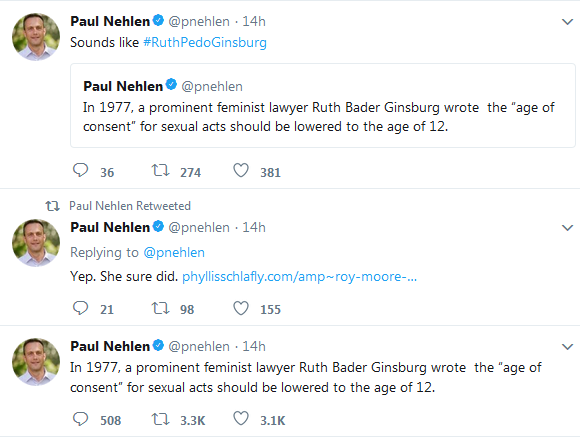 Big serious trouble is here, and it's heading to being "worse, big, serious trouble"
Yes, there will be flags on Podesta and maybe Huma above (there is more on these). Notice some missing Presidents (R)? Why did just recently one of them come out attacking Trump big time that had for the most part been quiet? So, we're seeing that both sides need cleaned out (as I've always thought), and we've surely seen the lack of support, and down right subversion from Trump's own Party. Pretty dismal, but this too fits the narrative of the Story. Have you noticed Politicians resigning lately, or announcing they're not going to run again? Actually, there are quite a few resignations coming in, many under the Radar, and definitely nothing the Media is going to say much about. The main sweep hasn't occurred yet (which may result in something from second post), but it may have started (SA). Seems to fit this drop doesn't it? The Soros note as being a controlled versus controller surprised me . . . but apparently it is very old Money/Families. What happens if Soros funded operations get violent and engage in domestic terrorism (new answer)? They can classified as domestic terrorist group. Military tribunals. They can bypass the corrupt judges, prosecutors & juries. I had heard of the possibility of Tribunals coming (from elsewhere), but until this I had no real idea how this could happen. of staying very, very quiet and never criticizing obamao etc. Note - I've scanned forward a bit and this is indeed a Worldwide event, and it is supposedly in progress. I'm probably not going to have a lot of answers/input to some of the forthcoming info as it is indeed deep and voluminous. Believe or not, if this is all fact (evidence seems to be mounting) - then this is a Historic event. I don't like saying that, but the magnitude of what I'm seeing so far can be classified as nothing else . . . after all, Trump being elected was a Historic event, one way or another. This hole is starting to get dark and disturbing, so here is a warning to that effect. There is some serious Tin Foil Hat stuff here . . . but there also looks to be evidence for it, however hard to accept it is. Bail if you've had enough "entertainment", bash me if you will, I myself am having a challenging time with some of this. A lot of this I have not had time enough to look into, so take it for what you want - I will highlight what little I can, a lot of this is targeted to just make you think I believe anyway. Big O . . . enough said. Sadly, from this and other items, it seems the referenced Agency has failed the American public and is in the corruption camp. I somewhat answered this in a previous post, but there is a little bit more to it. POTUS recently signed an EO that allows him to call back into Service anyone that has previously Served . . . If that person is a "Bad Actor", whether it be a Judge, Representative, Senator, or etc . . . they can be called back into Service by POTUS and will then be subject to Military Tribunal. If there are Riots, which the Left is supposedly organizing and has basically in stand-by mode for any little thing . . . Martial Law, and basically everyone is subject to Military Tribunal. You bet, but if you're not doing anything wrong you should have no worries. Can't say that I like it, but if the state of things are truly as they are appearing to be, I am not sure there is any other option. 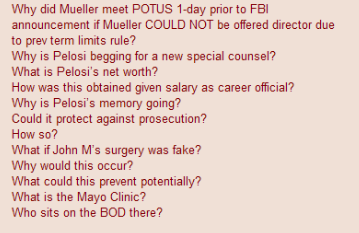 Why did Mueller meet with POTUS 1 day prior to Investigation? She finally realized that she is in deep Sheet because Mueller isn't "their guy" after all (which I thought he was). What is Pelosi's Net Worth? I've seen a couple of figure on this from $29M+ to $120M. How was this obtained given the Salary as Career Official? LOL - no stretch here . . . Bribes, corruption, . . .
Why is Pelosi's Memory going + Could it protect against Prosecution + How so? Anyone stumped on this one . . .
Ah, here's some good stuff. What if John Mc... Surgery was fake + Why would this occur? The "cancer" he supposedly has is super aggressive and he should be dead within 18 months. No way he should still be working, and why would he? I believe he was supposed to testify for something or other, and this got him out of that. Who sits on the BOD there (Mayo Clinic - hold onto your Tin Hats)? Barbara Bush, finger Cheney, Cokie Roberts, Eric Schmidt, Walter Mondale . . . didn't see that one coming. Because they get paid (Bribes/Power) for it. How do D's cover the Historical facts of form the Confederacy, KKK, and oppose pro Black Legislation? They change/erase History as we are seeing happening now with tearing down Statues/Monuments . . .
Why do D's, through funding prop up Hollywood assets? To control the narrative through popularism/propaganda. Does this fall within Operation Mockingbiry? Maxine Waters - see Pelosi. Sad picture of corruption here isn't it? I can't say that it gets any better the further down this hole things go. JAFBF. You don't actually believe any of that do you? I'm sure you're just trolling to try and find stupid people. But give it a break dimwit. Didn't dig any on this one did you? Tell ya what, from what I'm seeing, if these dots don't adequately connect into a pretty sinister picture of the current state of affairs, and things don't change . . . you can point the mighty Zombo to this please a show him that I willing request he delete my account. That is what I'm seeing here, but there is a loooonnnnnggg why to go in the dots comprising this picture. Trust me, this is not how I planned on spending my day/weekend. Why aren't Phones allowed in this room (one of many). Per Wikileak dump of C.A tools, C.A can turn microphones on the phones to listen in . . . did any of you actually download and look at the Vault x tool dump? Normally the States, but POTUS can call up the NG. Yes, Whenever an insurrection occurs in any state against its government, the President may, upon the request of its legislature or of its governor call into Federal service such of the militia of the other states. This is a statutory exception to the PCA. Whenever the President considers that unlawful obstructions, assemblages, or rebellion make it impracticable to enforce the laws of the United States in any state or territory, he may call into Federal service such of the militia of any state. This is another statutory exception to the PCA. The President, by using the militia or the armed forces, or both, or by any other means, shall take such measures as he considers necessary to suppress, in a state, any insurrection, domestic violence, unlawful combination, or conspiracy. FDR was informed of the Business Plot in 1933 when Prescott Bush (Hitler's Banker) tried to overthrow the US Gov't and install a fascist dictatorship. 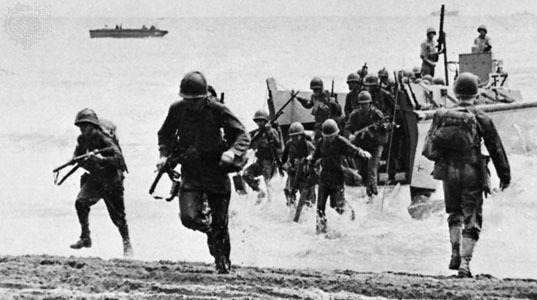 Two-time MOH winner Smedley Butler betrayed the plotters and the US Army put down the plot. Last two lines I believe I touched upon in a previous post. Yes, I do think something is going on. SA . . . Saudi Arabia . . . ya'll awake? Do you know why / backstory? SAP = Software Application Programs or something along those lines . . . too much material to cover, skipping some. They can read each others mail? I'm not sure on this one, they are supposed to be able to share info between Orgs now. Regardless of the inability to declare war, the President does have the power to unilaterally order military action in defense of the United States when he determines that a foreign political entity poses a clear and present danger to the safety and security of the United States. By U.S. law, the only limitation on that power is a requirement to notify specific members of Congress within 48 hours after the beginning of military operations. 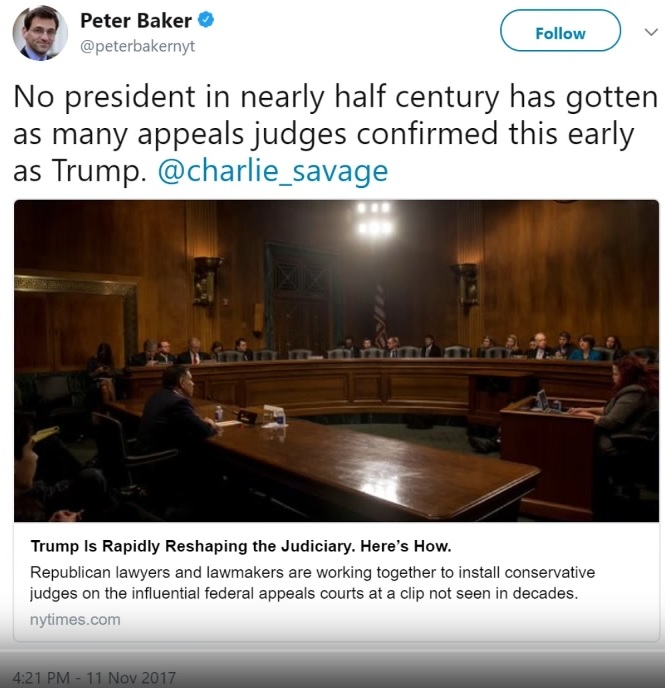 Once proper legal notification is given to the required members of Congress, military action can continue and remain secret so long as the President judges it necessary to national security. Take heed to the above folks, Trump has the FULL support of the Military in his pocket - like it or not. I touched on this earlier - these are all connected. Hmmm, weren't the Clintons involved in Haiti . . . they definitely fleeced the reconstruction funds. Backtrack a few steps to WH renovations (as well as debugging). What's going on the Consulate in Cuba? Aren't the people getting pulled out because of some odd sickness caused by . . . When was it reported Trump Jr dropped SS detail + Why would he take that huge risk? SS is apparently part of the Swamp (at least some of it) - do you all recall an incident with Denver based SS Agent saying she wouldn't defend/take a bullet for Trump? Hopefully you noticed the "we" some time back - this appears to be coming from more than one Asset. 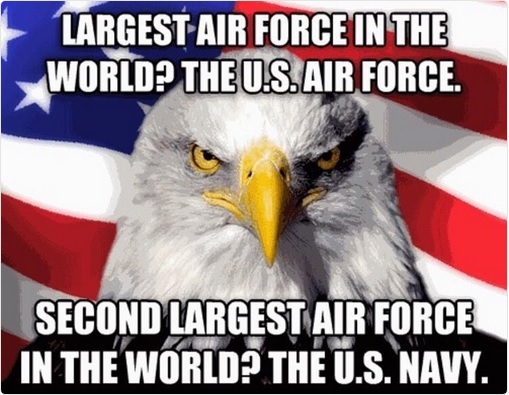 Four Carriers . . . let that one sink in. That is a damn lot of Firepower . . . The Nazi collaborator that turned his own people(Jews)/neighbors into the Nazis . . . what a stand up guy ! Yes, he has stirred up (and continues to stir up) quite a bit of trouble for the World. I'm not sure if there's anything that will make this guy happy - he definitely has a vendetta with the USA and has tried to inflict damage via Currency manipulation on multiple occasions. A true kindred spirit too ole Adolph. On the Bush situation . . . while they were meh as Presidents, what is coming to light is truly disheartening. [L][d][R] = believed to be Lynn de Rothschild (one of THE families). #FollowTheWhiteRabbit and #Breadcrumbs are the hashtags identifying all the information that is coming out. sounds like somebody is sending them a dangerous message. Yep, like a James Bond movie. except it is real life. Marines in Langley to support big doings, including over 1800 sealed indictments. Over 1800 Sealed Indictments now as well. This is real(?) folks - watch the damn video. <--- I am still looking for more conformation on this. Ah Ha - the Boot on HRC is mentioned as having GPS Tracking possibly in it as pointed out in the OP. I'm thinking this may be a mistake, these were probably JSOC, not Marines - but in gear I can understand the mistake. Jesus Christ you need help. According to persons who reside near Langley, a large contingent of Marines arrived at CIA Headquarters in tiltrotor aircraft and when the Marines deplaned, they were armed and moved quicKly into CIA Headquarters! Those witnesses also say that a significant number of tiltrotor aircraft can be clearly seen on the grounds of CIA Headquarters, parked on the grass around the building. The existence of video showing cash payoffs has sent a slew of people from the former Administration into fits of anxiety that their schemes are uncovered and many of them are going to prison for what they did. Desperate people can sometimes do desperate things and if those people are high-ranking federal officials, God only knows what they might have in the works to try to save themselves. Not sure what her connections are, so take it FWIW. Senators have been arrested now have they? Cause......roseann said so? "The" roseann? The press reports when Senator farts, but they ignore this? Common now. How many days before u dotes realize u got taken by rooskie story tellers......"again"
Changed Title - I'm still looking for further confirmation on that. This may just be a Training exercise, but the description didn't sound like it. If this did actually occur, then it's probably not Marines, but JSOC units since they would have a higher Intel Clearance for such an operation. Leaving the links, as there is other relevant info - Sealed Indictments, which are supposed to exceed 2,000. 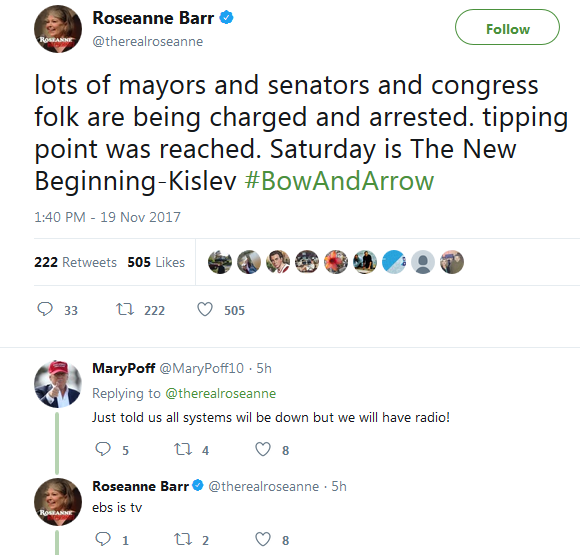 The Roseanne Tweet was a follow up to and earlier post, and more an alert of what is supposed to come, not what has happened. Look, I really didn't want to create this thread because I know how it looks and the reactions I would get, but the info that has come up is just something that needs to be put up. I have only covered maybe 5% of what's there so far. 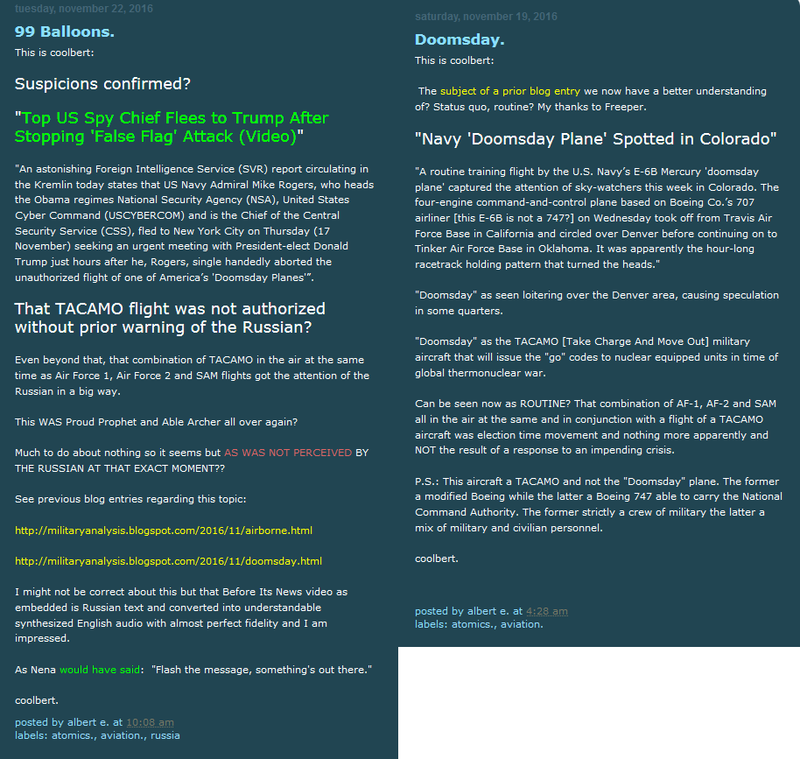 I've thrown in a few side bars as they tend to support/foreshadow some other info (shown or not). This whole "Operation" has been getting set up over some time, and it appears the final (for this portion) piece was complete with the recent trip to SE Asia. What just happened in Saudi Arabia I believe was the kick off of things - this is not going to be a Lightning operation, it's going to go for some time. Most of it is going to be covert. I really don't even like writing what I just did, and if it didn't align with some other things I've been aware of I wouldn't be doing this. 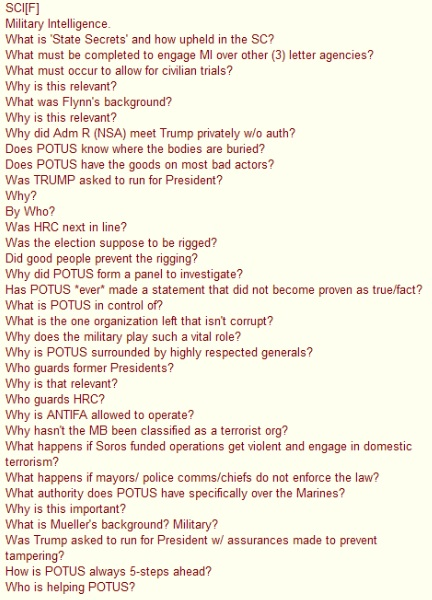 Are you seeing how many thread topics there are in this Forum popping up with one scandal or another - do you really believe the volume of these is "normal" ? If this is "normal", then we are one damn sick sad Society. I've come across a few better answers for some of the previous questions that I had forgotten about. Michael Thomas Flynn is a retired United States Army Lieutenant General, who served in the Army for 33 years until 2014. Flynn's military career included a key role in shaping U.S. counterterrorism strategy and dismantling insurgent networks in Afghanistan and Iraq, and he was given numerous combat arms, conventional, and special operationssenior intelligence assignments. He was appointed by President Barack Obama as the eighteenth director of the Defense Intelligence Agency, serving from July 2012 to his retirement from the military in August 2014. After leaving the military, he established Flynn Intel Group which has provided intelligence services for businesses and governments, including ones in Turkey. Why is this this relevant? General Flynn is part of a top secret group of highly skilled retired military operatives who have been investigating human trafficking for years. His company was cover. Flynn KNOWS. That is why he has been targeted, slandered, fired by Obama, fired on the advice of Pence and now still targeted so they hope he has no credibility. Why did Admiral R (NSA) meet with Trump privately without authorization? Big O was doing a lot of really odd crap the last few months he was in after the Election. Worse than I thought (Florida @ 105%). Who guards former Presidents + Why is this relevant? Addendum: Secret Service has been compromised and shown to be corrupt / underfunded for past 8 years. SS has been audited 4 times and found to be in failure of Duty Certificates and Code of Conduct with no change in behavior. Because the MB infiltrated Obama's admin, universities, social media. Ted Cruz tried to in 2015 but the bill didn't pass. Michele Bachman tried to in 2012 but it didn't work because she claimed Huma was MB. Huma was defended by Pelosi, Ellison, and McCain.